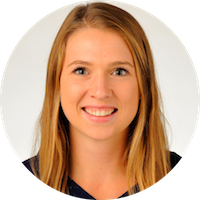 StFX forward Daley Oddy was honoured with the Brodrick Trophy as U SPORTS women’s hockey Player of the Year Wednesday night, as the national award winners were celebrated at the annual All-Canadian gala. 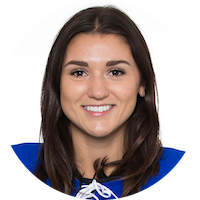 Nipissing forward Maria Dominico captured Rookie of the Year honours, while Ryerson forward Ailish Forfar earned the Marion Hilliard Award for Student-Athlete Community Service for her outstanding contribution both on and off the ice. 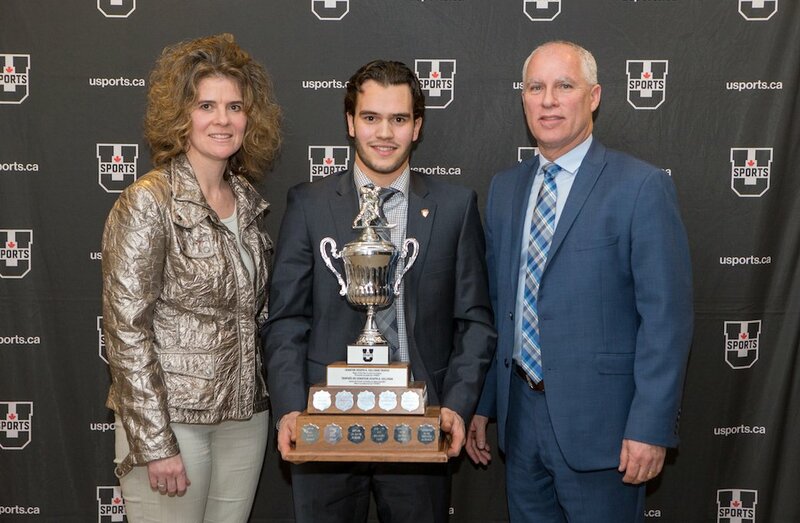 Finally, Manitoba bench boss Jon Rempel was named Coach of the Year. 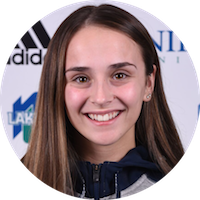 Oddy’s plus-minus rating of plus-24 was also the highest in the country, while her six game-winning goals and six power play markers were tops in all of U SPORTS. 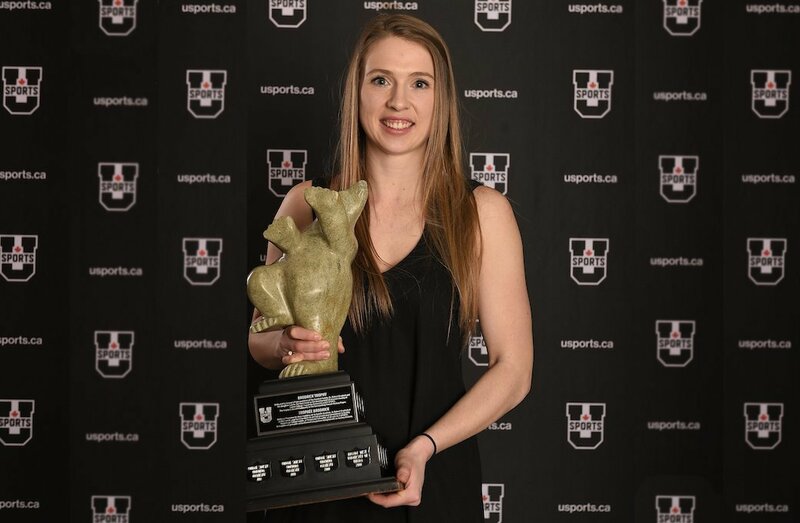 Daley is very deserving of the U SPORTS Player of the Year award because of the way she plays the game. 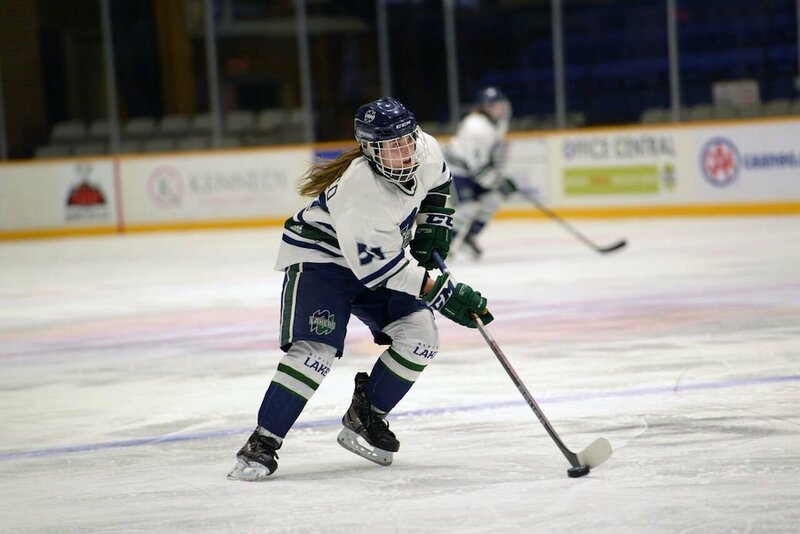 She is one of the hardest working players on the ice who works just as hard on the defensive side of the puck as the offensive side. She is the type of player who can take over a game, and she has scored some huge goals for us this year. Daley has also turned into a great leader for our team which will be a big asset to her in the future. 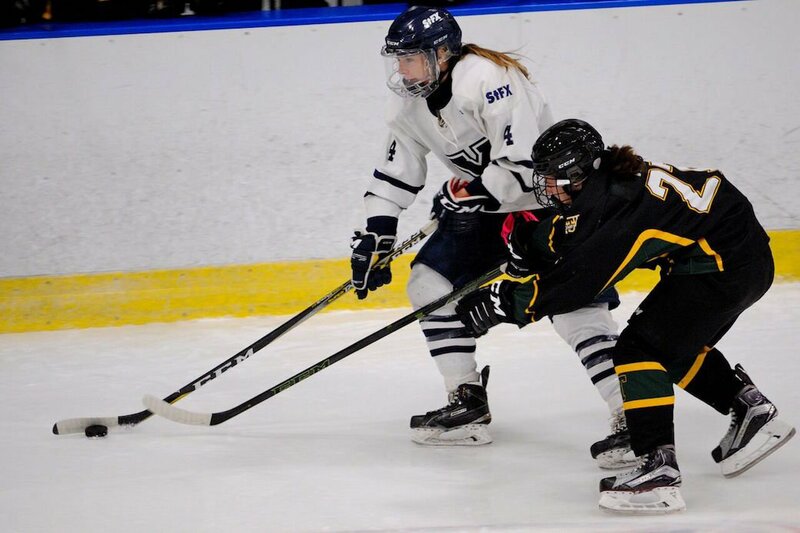 Maria Dominico is the first Nipissing Lakers women’s hockey player in the program’s history to win a major national award, following up her OUA rookie of the year with this honour. Dominico was tied for second in the nation in goals with 15, while finishing sixth in the country in points with 26. She joins two fellow teammates – Zosia Davis and Kaley Tienhaara – as the only three Lakers to earn U SPORTS All-Rookie team honours. Maria got off to a tremendous start in her rookie year – she has become a threat every time she was on the ice. Any time you have a first-year player come in and put up numbers that she has is obviously a bonus and she is a very dynamic player, very skilled player. She got more comfortable as the first half went on. We are obviously thrilled at what she has done and look forward to what she will do in the future. 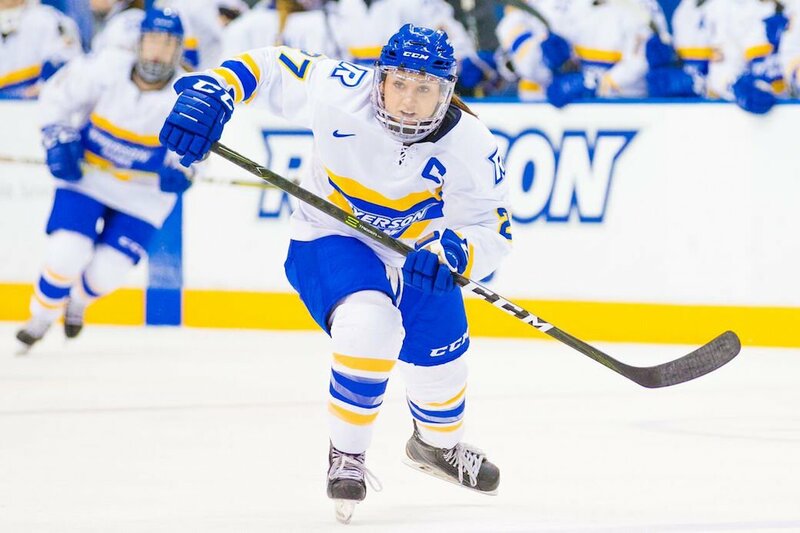 Ailish Forfar becomes the first Ryerson Rams women’s hockey player to win the U SPORTS Student-Athlete Community Service Award and is also the first to win any major award at the national level. On top of being the Rams captain and leading-scorer this season with 11 goals and 23 points, Forfar also plays a big role off the ice. An Academic All-Canadian, Forfar has been a standout in the community, taking part in such initiatives as the Ryerson University athletics humanitarian trip to Ghana where she will serve as a student leader helping to plan, organize, fundraise and more; volunteering with Big Brothers Big Sisters to help develop and grow relationships with young females; Ryerson’s inaugural You Can Play Game to raise awareness for LGBTQ rights; Do It For Daron fundraising to raise awareness for mental health through campus and league-wide fundraising; and so much more with and beyond the Ryerson Athletics community. In just two short years at Ryerson, Ailish has left an impact that is unmatched in our hockey program. She sets the benchmark at every turn. The measurable things she's done are in plain sight, like being an All-Canadian, being one of our fittest athletes, leading our team in scoring, and basically re-writing our record book. 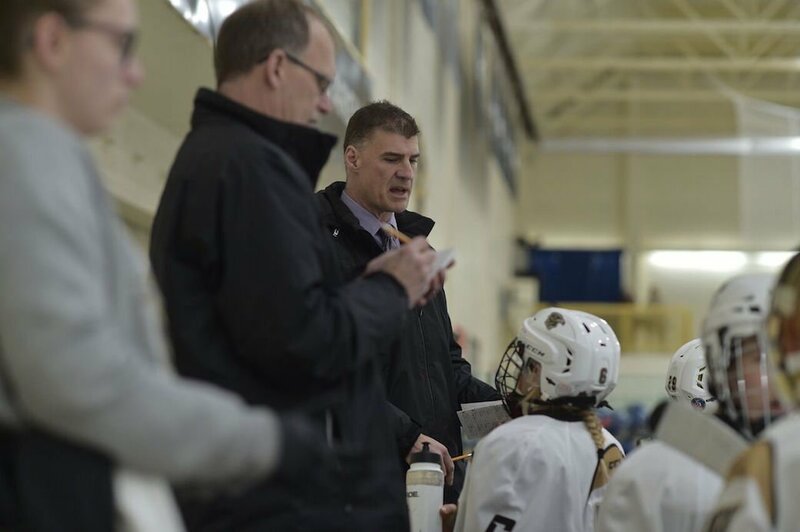 For the first time in his 14-year career, Jon Rempel has been selected as U SPORTS women’s hockey Coach of the Year. Rempel guided the squad to the 2018 Canada West championship – just the third in the 21-year history of the program – after claiming top spot in the conference for the first time with a 19-5-4 regular season record. In addition, the Herd registered the second-most points in CW history with 64. The Bisons reached the No. 1 ranking in the U SPORTS Top 10 poll for the first time in the program’s history at the start of December 2017, and went on to claim the top spot for seven weeks in two different stints, while being ranked throughout the entire season. Jon Rempel being named U SPORTS women’s hockey Coach of the Year is a very special accolade for Bison Sports and our women’s hockey program. As the leader of our women’s hockey team, Jon is fully absorbed in the role and the responsibilities that it entails. 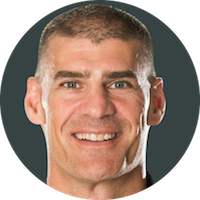 He is dedicated to the achievement of our student-athletes in all facets of their lives. Bison Sports recognizes and values his effort, energy and time. Jon’s major national award is thoroughly deserved. F Jessica Cormier Montreal 4 Cap-Aux-Meules, Que. Business Admin.